Playstation Now, formally known as just Sony's Gaikai technology, will be going into a closed beta in the US starting at the end of January 2014. This could be the beginning of the end for consoles. I don't think consoles will be obsolete in the next decade, but if game streaming eventually becomes the new standard, we will no longer need to purchase consoles or high end PCS. If a game can be streamed we will only need a device on our end to interact with and display the game. With a smart tv and a gamepad, we won't have to worry about buying a new video card or dropping $500+ on new hardware because the games will be completely run on company servers. Playstation Now will also support multiplayer, trophies and playstation network messaging. We discussed before about Playstation becoming a service, see (Is PlayStation Going to Compete with Steam?). Competing with Steam does not appear to be the case however. Steam allows people to buy licenses of games, download and play them. The Playstation Now service has mentioned nothing at all about purchasing games. As it is now, it will be a game renting or subscription only service. This could be a very big game changer. If Sony charges a flat rate fee like netflix, then gamers around the world might jump right on the offer. Imagine paying $7.99 a month for a massive game library on demand. No downloading and installing.. just pick a title from a netflix style menu and start playing a game. The only thing I can see me using this for right now is MMOs if I wanted it at all. They would have to give me access to my PS3 library of PS Plus games & PS Home if they really wanted me to want it when they pull the plug on PS3. They didn't prevent me on eventually wanting to get a PS4 though.... How else am I going to own more than 1 version of the same Saints Row sequel without it? With the service being subscription based and renting, I doubt Sony will give us our PS+ library of games. I was hoping it would be like a steam account and all my digitally purchased games for PS3 would be automatically available to me. If that was the case I'd have about 15 or so games I could play right on my PS4, which would have been very nice. But I'm guessing Sony wants as much money as they can get which means we'll all have to pay more to play the games we already own yet again. At least this should take care of future backwards compatibility issues. The Playstation 5 might not even need a disc drive. All the games could be digital only and all old games will be available via Playstation Now. Thats probably the future they have planned. You can make endless money on subscriptions without ever having to put money into R&D and the hardware every 5-10 years... instead you can just upgrade the hardware that runs the whole thing... without mass production, you're saving a bunch. EA and Activision would go along with it because not only would they not have to burn cash on discs and cases, they could get a constant money flow from their piece of the pie. Don't you love the irony that this is the kind of service they were campaigning against before launch? 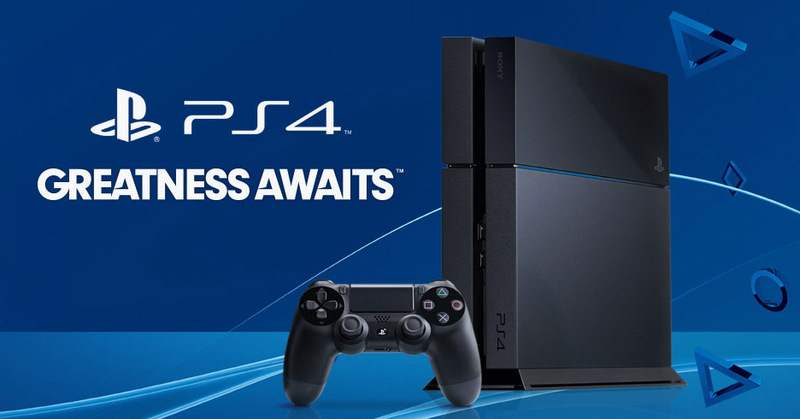 I thought Sony was always selling the idea of streaming games for the PS4. The renting / subscription thing was definitely new info to me though. I'm still waiting for the extra PS4 features to start.. like being able to click the share button and have a friend watch and even take over part of the game play. If they had that, I could help my brother get the jet kills he needs for an assignment on bf4. You know DICE is going to block that on their game, along with many competitive multiplayer games... thats just a form of boosting. I suppose so. But maybe they could set it up so that you could only take over a friend's game if you yourself was not currently playing that same game. That way you couldn't boost your characters off each other. I doubt it. I suppose its not different from coming over to someone's place and doing it in person for them, but I can see competitive FPS locking it down to where they will do whatever they can to make sure you yourself complete the challenge. Next gen will have finger print scanners on the buttons to make sure no one else is playing your account to get the assignments. That would be a great SYFY movie.